Photography - Eric D. Brown, D.Sc. 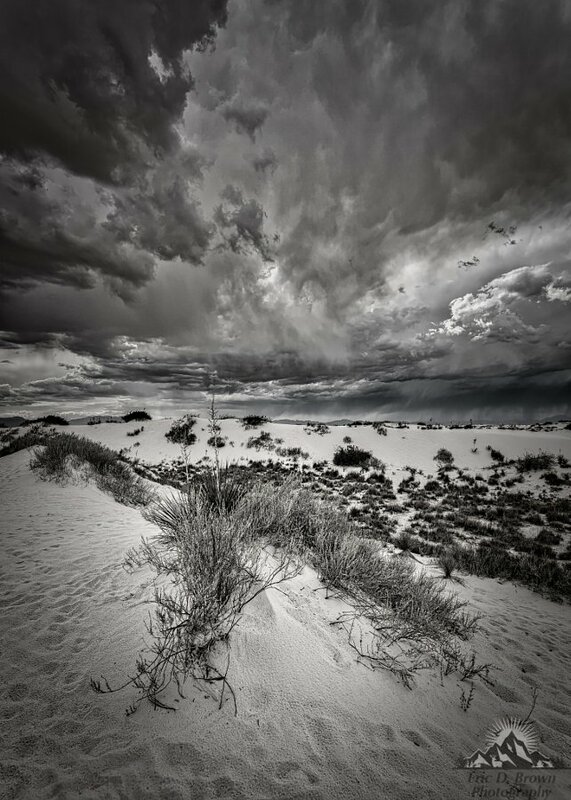 As a storm was rolling into White Sands National Monument, I caught a ray of light hitting some plants in the foreground. 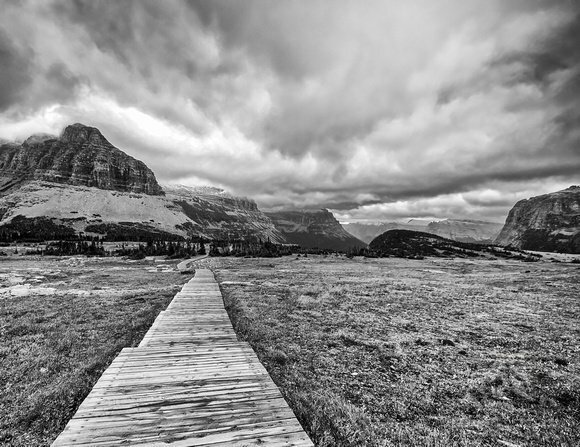 Converting the image to Black & White really sets this image up nicely. Captured with Canon 5DsR and Canon 16-35 f/4 L.
This is a capture from the Antelope Slot Canyon in Page Arizona from 2010. 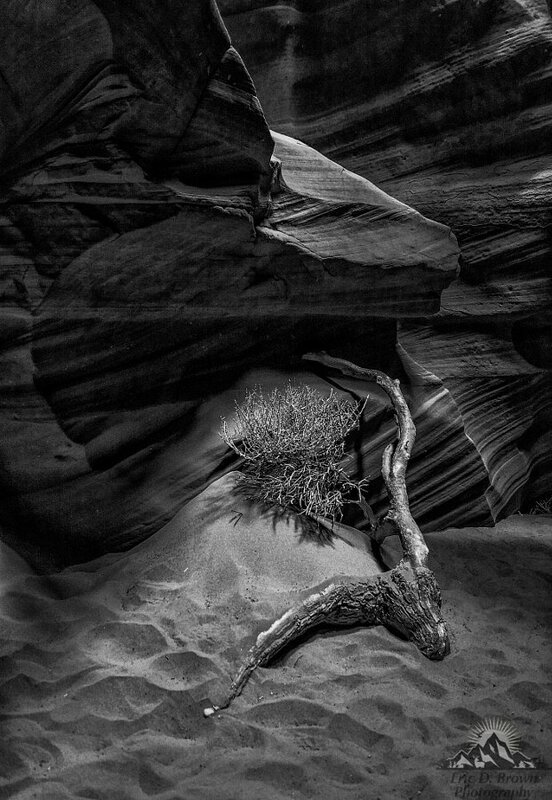 I’ve looked through my slot canyon photos a number of times and have always stopped at this one…but it wasn’t until I converted it to Black & White that I saw the real image…the sunlight shining down through a crack in the roof and highlighting the dead limb and bush below. 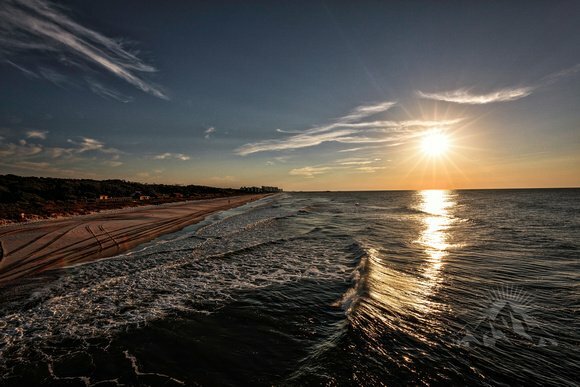 I captured this sun rising over Myrtle Beach earlier this year. 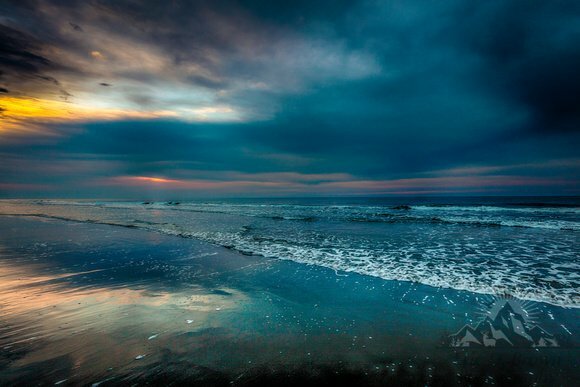 Captured with Canon 5DSR and Canon 16-35 f/4 L.
Purchase a copy of Sun rising over Myrtle Beach here. 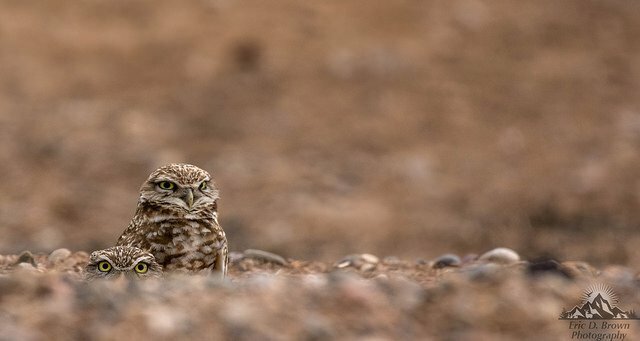 A capture of a Burrowing Owl Couple checking things out from their hole. Captured with Canon 7D Mark II and Canon 100-400 Mark II.